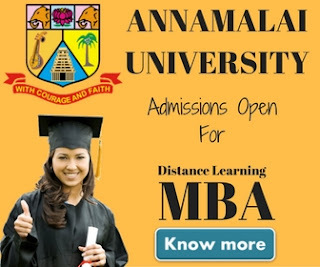 Alagappa University Karaikudi Tamilnadu offers 2 year MBA in Corporate Secretaryship through distance education. The programme is designed to give an insight into the areas of General Management, Corporate Accounts, Corporate Finance, Corporate Laws and Human Resource Management. Any degree holder with an aptitude for Corporate Administration can get enrolled in this programme. Any bachelor (10+2+3) from a recognized university can join this course. The course code is 331. 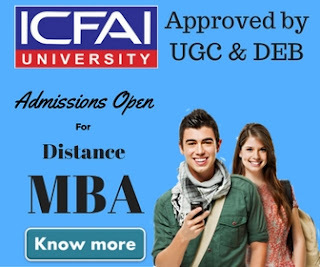 Total fee per year for this course is Rs.10,000 in which University share is Rs.6500 & Study center share is Rs.3500. The candidates who Enrol. directly with the University have to remit the total fees by means of Demand Draft in favor of "The Director, DDE, Alagappa University", payable at Karaikudi. Another Demand Draft in favor of the Study Centre concerned towards Service Charges, through whom the candidates seek admission. The Examination Fees have to be paid separately. The candidate may seek admission either directly to the University or through any one of the approved Study Centres. The list of Approved Study Centres is given in the Website www.alagappauniversity.ac.in. If the candidates enroll directly with the University, the Course Materials shall be directly sent to them and they have to attend the Contact Classes and Examinations at Karaikudi only. If candidates enroll through Study Centres, the Course Materials shall be sent through the Study Centres and they have to attend the Contact Classes arranged by the Study Centres at their places. After completing the course, a candidate can join any company as a Company Secretaries. Apart from this, there are many executive level opportunities are also available in other functional areas of management.